The Two Bedroom Deluxe Apartment features more space, with the quality contemporary design which is designed for the comfort and relaxation while accommodating. The spacious living/dining area with a flat screen TV/DVD and premium audio-visual equipment also included a dining table with four chairs for a pleasant meal with family or a relaxed meal away from a busy day. 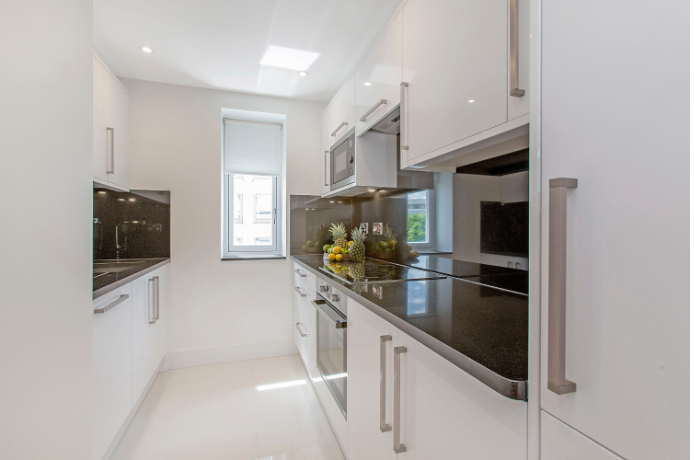 The Kitchen is fully equipped for the more modern visual look of feeling at home. 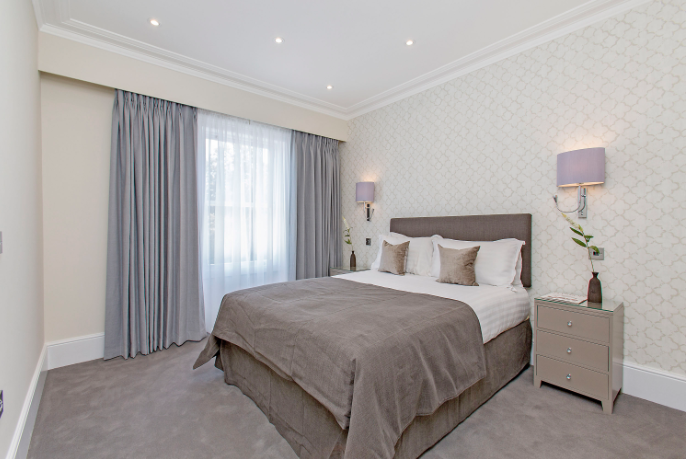 The Bedroom has a Queen sized bed which can be split in 2 double beds if preferred and included in with a built-in cupboards for your own personal storage. The Apartment Bathroom includes a power-shower. 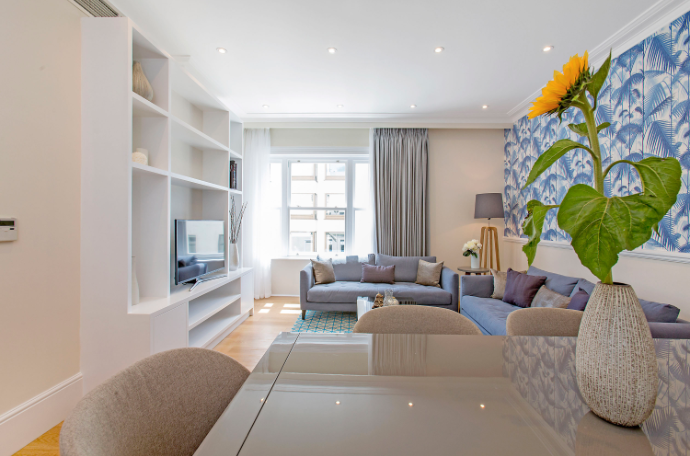 Serviced apartments in affluent Belgravia: Chesham Court, located right next door to the buzz of Knightsbridge, is a beautiful mid-Victorian mansion with 14 spacious serviced apartments. Bordering on Knightsbridge and Buckingham Palace Road, Belgravia is a charming, relatively quiet area in the heart of London and characterised by grand terraces and white stucco houses. 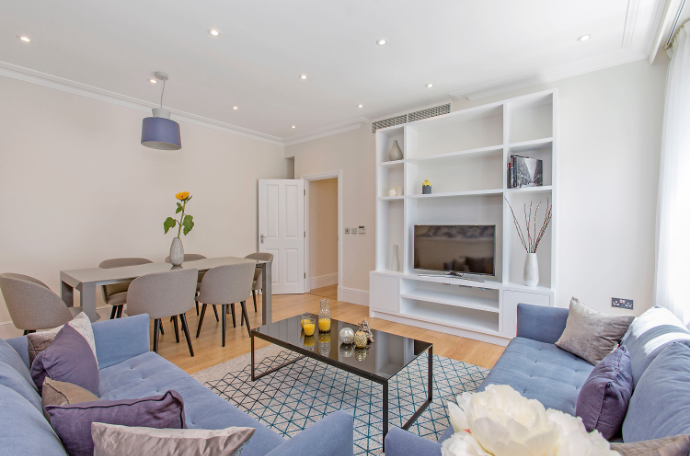 The central location is ideal for Hyde Park, the Royal Albert Hall and London’s world famous museums, and some would say even more famous department stores, Harrods and Harvey Nichols. 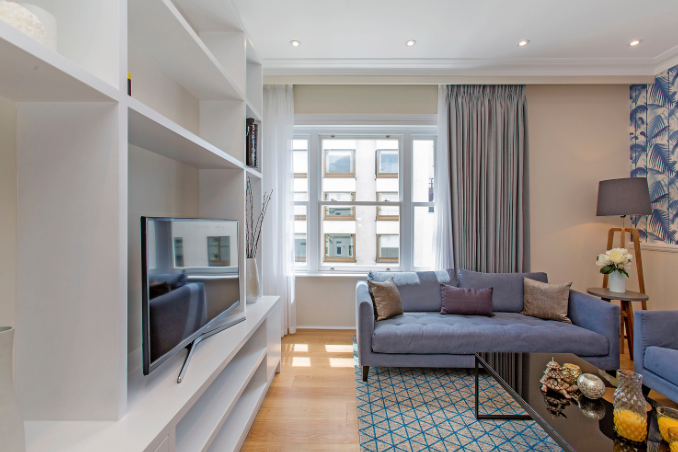 Also, excellent transport links will get you into the West End theatre district and the popular shopping areas, designer and high street, all within walking distance. The building offers comfortable, classically styled accommodation ideal for business travellers, couples or families enjoying a holiday in London. 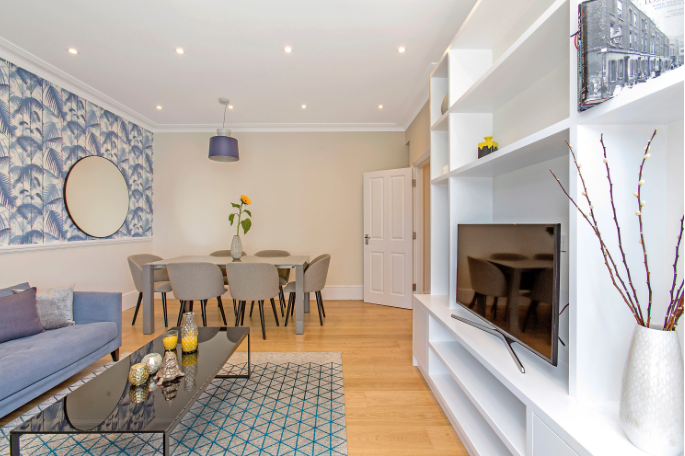 Each apartment is equipped and includes quality audio-visual equipment, modern, fully fitted kitchen and a choice of Studio and One Bedroom apartments, with Standard and Superior options available. 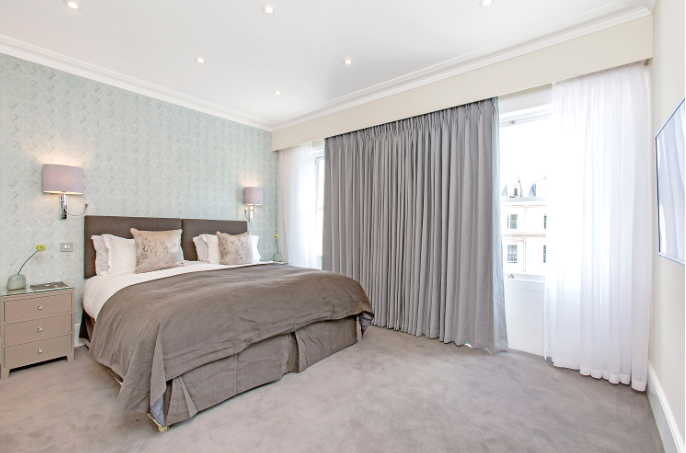 For the Three Bedroom Penthouse suite offers privacy and a balcony to enjoy the views across the London skyline. Reception at the building is available 9am-6pm to welcome guests and deal with individual requests and amenities include: every other day cleaning service, lift and nearby public Car Park, if required.